Milton W. Hourcade visited Mexico City from September 20 to 25. 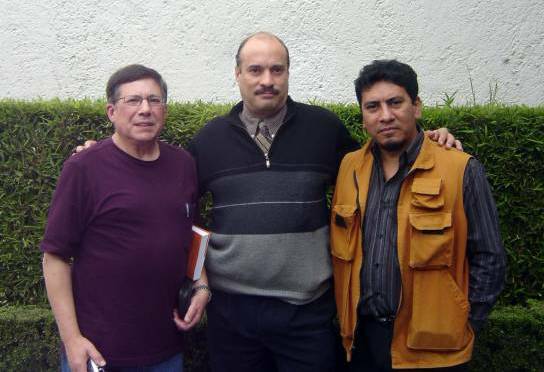 During that short stay, he was interviewed for www.xradiotv.com.mx by the journalist Héctor Sampson, and later for a Cable TV station, by journalist César Buenrostro. Both interviews were broadcast during the following week. Also, he had a very important meeting with Engineer Luis Ruiz Noguez, an outstanding Unusual Aerial Phenomena investigator and scholar, who asked Hourcade to write the preface for a coming book. Engineer Ruiz Noguez is a Member of UAPSG. During the meeting there came up many coincidences in the mature way the U.A.P. subject is approached by both investigators.